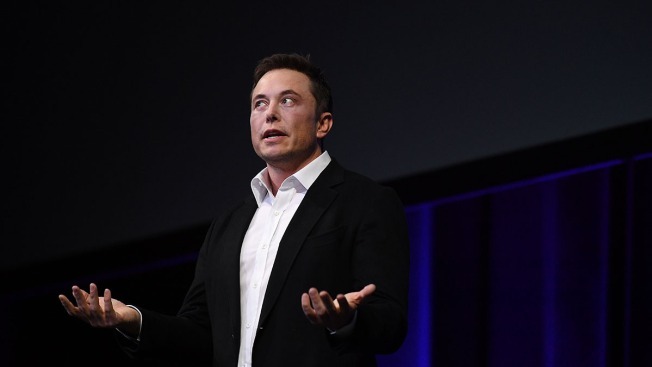 This Sept. 29, 2017, file photo shows Elon Musk in Adelaide, Australia. An April Fool's joke may become a reality for billionaire entrepreneur Elon Musk. Tesla's CEO teased a Tesla-branded tequila earlier this year as part of a ruse on social media. On Monday, the company officially filed an application with the U.S. Patent and Trademark Office to trademark "Teslaquila." The trademark is for "distilled agave liquor" and "distilled blue agave liquor." Teslaquila first appeared as part of an April Fool's prank in which Musk said on Twitter that his electric car company was going bankrupt and that he had been found "passed out against a Tesla Model 3, surrounded by "Teslaquila" bottles." A few days later, he posted a photo on Instagram of a tequila bottle with a "Teslaquila" label plastered on it. Representatives for Tesla did not immediately respond to CNBC's request for comment. While there is no guarantee that a Tesla-brand tequila will hit the market, the company filed an "intent to use" trademark for Teslaquila, which means that it is currently not using it, but has a "good faith intention" to use it in the future. In addition, Tesla appears to have initially applied for this trademark in Jamaica back in April and is asserting a U.S. priority date based on that foreign application. Since Tesla's U.S. application was filed within six months of its foreign application, the USPTO will use the first-filed foreign application date as the filing date for the U.S. application. This can provide a major advantage for Tesla, as it provides the earliest possible filing date for the mark. In other words, if other applicants file similar marks after that date, they will be rejected or suspended.